Digital transformation: opportunity or threat to financial services? The developments taking place in the sector of financial digitalisation are enormous and rapid. The disruptive technologies of fintech, increasing automation and robotics in day-to-day activities, artificial intelligence and wider use of cryptocurrencies are all having an impact on financial services and its customers. 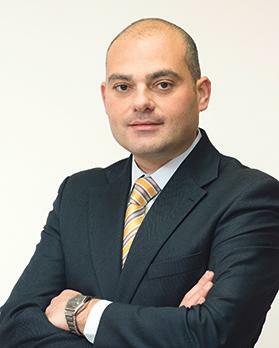 Kenneth B. Micallef, IFS Malta president. This is the new reality we have to embrace. We hear how the services that we are using today – among them banks’ online services, credit cards and related merchant services, bank payment services and even the manner through which we identify ourselves, are changing. Some of these are expected to soon become obsolete as new ways of transferring money between entities take shape. Some even forecast that the time will come when the physical money we have today in our pockets will become unnecessary and disappear. Digital currency is widely becoming more popular. The changes happening around us are unprecedented. Digitalisation in the financial services industry will have a major effect on financial services as we know them today. Research shows that the advent of online banking resulted in a 50 per cent reduction in bank branches in the US over the last decade. Here, although we have still not seen a notable impact on the number of branches, the way local banks offer their services through their front offices has developed significantly. They will need to continue to rethink their service strategy as financial digitalisation evolves. New players are leveraging the opportunities of digitalisation, offering similar services which are faster, easier and cheaper. These operators are undermining those financial institutions which do not keep up with the pace. Technological developments are making it possible for innovators to provide financial services which are even more secure, accessible and less bureaucratic. A good example is blockchain, which allows for more secure trading in many aspects and which can be used to manage practically anything that has value attached to it. At the Institute of Financial Services Malta, we keep abreast of the developments affecting the financial services sector. We feel it is our duty to equip the people working in this industry to give an excellent level of service which ultimately impacts on the society we operate in. The financial sector and ourselves as practitioners have an obligation towards society and the economy at large. We must ensure we continue to support the development of the country and of people, as individuals, by remaining at the forefront in the provision of qualitative financial services which reflect the changes taking place in the market and the continuous evolution of customer needs. Digitalisation is just one of the main instigators of these changes. This notwithstanding, we have to ensure the financial system is not used for any illicit means and that our services do not create opportunities for those seeking to damage society. Any developments have to be built around sound business practices which embrace regulatory requirements at all times. As crime becomes ever more sophisticated, we have to provide strong inbuilt features to protect against money laundering and financial crime, among other threats which pose not only financial but also large reputational risks. It is for this very reason that when discussing the topic for this year’s IFS Malta annual seminar – being held on November 13 – we decided to focus on digital transformation and the opportunities and threats it brings. We hope the discussion during the event will help us to keep focused and prepare for what we, as financial services practitioners, are and will be facing in the near future in this respect. We have assembled an array of high-level speakers who, on Tuesday, will approach this topic from many aspects, complemented by the views of politicians, the local regulator and practitioners. Their first-hand knowledge and insight will definitely contribute to a more holistic view of what the future has in store for us and how it can be used to our advantage. For further details about the seminar and booking, visit the institute’s website, www.ifsmalta.com or contact us via e-mail info@ifsmalta.com.mt or on 2124 0335.